I’ll happily pass on their tapioca kueh ( Nonya Delicatessen’s bar is set too high. I’m missing the starchy- sweet flavour of tapioca from this one) for more kueh kosui. 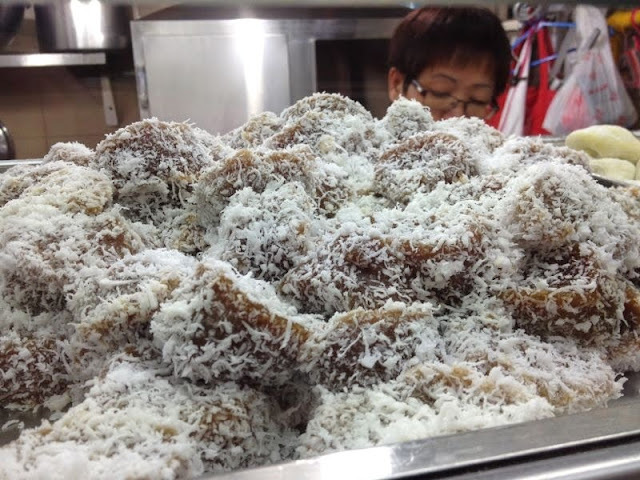 Soft cushions of palm sugared kueh tossed in fresh dessicated coconut. 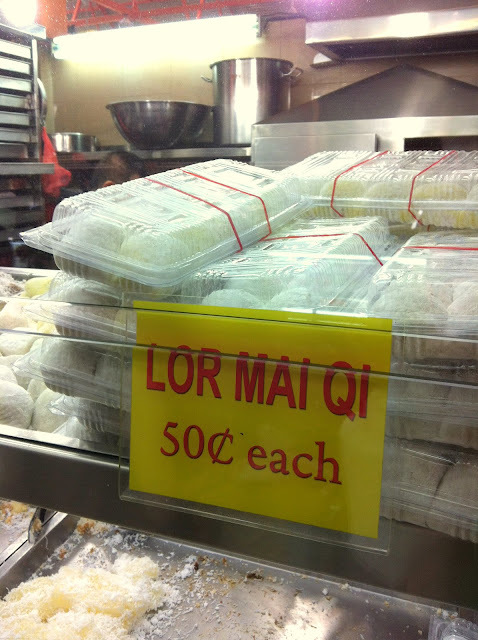 Their lor mai qi, the equivalent of mochi, comes with a peanut/ coconut filling. It is big with a correspondingly huge lump of filling inside, wrapped over by a soft mochi skin. You can’t go wrong with anything from this shop. 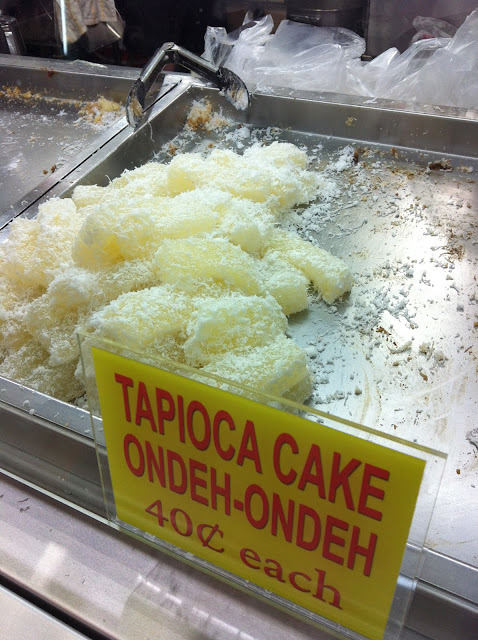 I have friends who swear by their ondeh ondeh and tapioca kueh. Just BUY IT FIRST when you are in Maxwell. Everything else can wait.